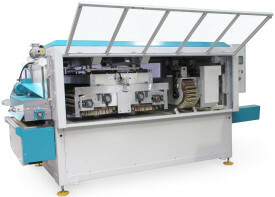 MBMaschinenbau Roba Split Belt Sander. The Roba Split Belt principle is used for the sanding of flat and profiled surfaces, optimized for lacquer sanding. Due to the innovative sanding method the Roba Belt Split offers for all these areas optimal prerequisites for best surface quality. Lacquer sanding is a very difficult task in the field of production of furniture and furniture components.Many factors have an influence on a desired result and only the combination of the correct aggregate and abrasives configuration, in conjunction with certain programmable sanding parameters can offer a perfect result. the result. 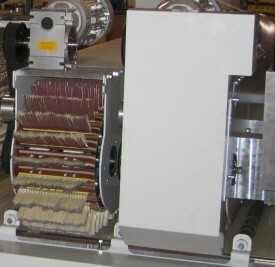 In conjunction with the for lacquer sanding optimized MB Superflex brushes, the Split Belt unit, placed at the machine exit, is responsible for the final finish in the longitudinal direction. edges. The combination of transverse and longitudinal sanding in one machine thus enables a smooth and effective processing in all areas. 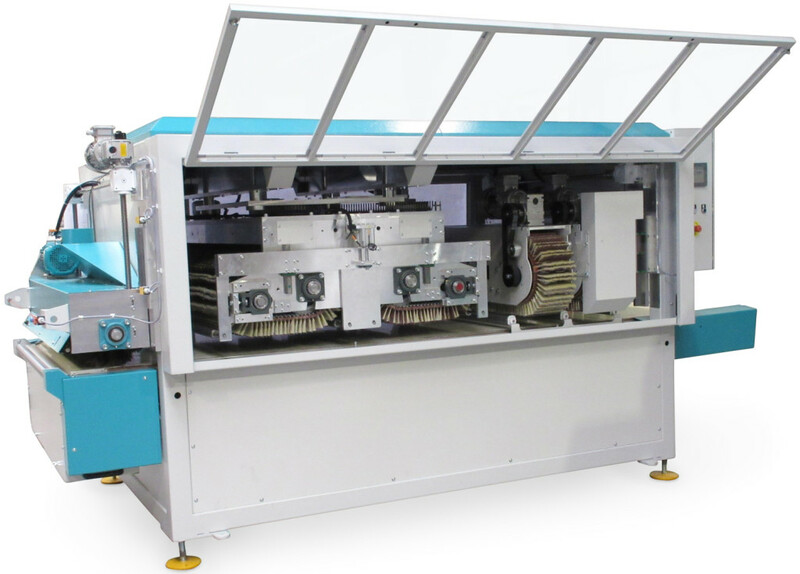 On request the machine can be equipped with a cleaning aggregate at the machine end.